Confused by the cloud? You’re not alone. This cloud computing introduction may be useful. We’ve all heard about cloud computing, but it may still seem like a foreign language to some. Because cloud computing has become a big deal (like, change the face of IT big), we thought we would provide a brief cloud computing introduction. Here are some key points you need to know about cloud computing to help your organization reap its benefits and get you back into the 21st century. 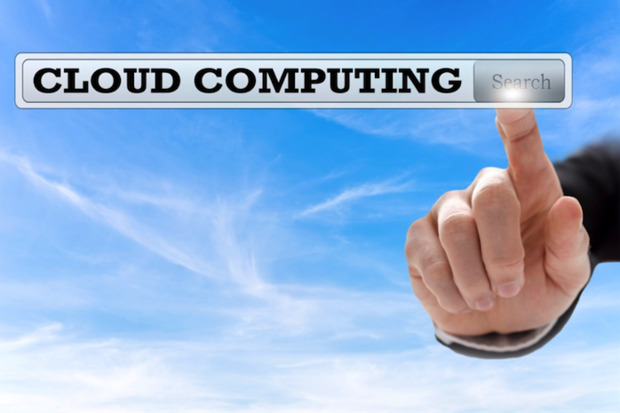 There are several varieties of cloud computing services. Depending on your company’s IT needs, you might be able to use a cloud service instead of investing in new IT hardware. Two of the more popular versions of cloud offerings are Software-as-a-Service (SaaS) and Infrastructure-as-a-Service (IaaS). With SaaS, the cloud service provider hosts your enterprise applications and associated data on its servers and storage systems. Users gain access to SaaS applications using a Web browser. And your company would typically pay a fee per user per month. With IaaS, the provider offers virtual machines, physical servers, storage, switching, and connectivity resources to run your enterprise applications on a pay-as-you-go basis. You are responsible for installing and maintaining the operating system and application or virtual machine; the provider is responsible for managing the infrastructure hardware that the applications or virtual machines run on. Business today is very dynamic. Cloud services let companies quickly ramp capacity up AND down to match business needs. In contrast to legacy hosting services, which often locked companies into contracts for multiple months or years, today’s cloud computing services are offered by the month or based on the consumption of resources. This is a perfect match for some industries, such as retail and financial services, which are subject to boom times and quiet times in their normal business cycles. Maybe you have a new application and are unsure of the speed of growth. A cloud computing service lets you expand and contract IT resources in sync with those cycles. Need more capacity to handle late summer back to school sales or to support a web site for a trendy service? You can throttle up capacity for several months to support the peak period and then scale back when activities return to normal. Similarly, you can match capacity to demands as business units grow and contract over time. This helps align IT spending with actual needs. 3. Cloud computing gives you the ability to refresh an aging infrastructure without incurring CAPEX costs. This is critical especially for companies that are trying to accommodate new technologies. For instance, many companies today are virtualizing their mission-critical applications. To do so, they need the virtual machines associated with those applications to run on powerful and resilient servers. Cloud computing gives companies a way to do this without having to buy new servers. 4. Cloud is an economical way to support more users and new IT services. Many data centers are running out of space. This is forcing some companies to build new data centers or pay a fortune to expand their existing centers. Here again, cloud computing allows companies to move their applications to a provider’s infrastructure and save the cost of a data center expansion. 5. Cloud frees up staff for other projects. IT staff members spend most of their time keeping the proverbial “lights on.” A good portion of an IT staff’s time is dedicated to managing, maintaining, and troubleshooting equipment. Cloud computing providers often offer infrastructure as well as management services, allowing companies to offload those tasks to the provider, thus freeing up IT staff to work on other projects that are more critical to the success of a business. As you can see, cloud computing can be many things to different companies. The great thing about cloud computing is that the services can help companies be more responsive to market conditions, all while reining in IT costs. This post was originally published on Forbes and Sungard Availability Services.